The Chairperson of the Bulgarian Rowing Federation Svetla Otzetova announced that Bulgaria shall bid for hosting World Rowing Championship in the Olympic 2012. Candidate City for the Championship is the city of Plovdiv. The International Rowing Federation (FISA) will declare whether our application documents have been accepted during the first series of the Rowing World Cup regatta on May 7th and 8th in Munich. 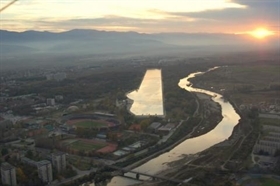 The final decision of FISA whether Bulgaria would be appointed host the World Rowing Championship will become clear at FISA congress in Linz (Austria) in July. For the time being Plovdiv is the only candidate city. Another city interested in hosting the event initially was Amsterdam.